Stephen T. Goudge, Q.C., O.Ont. 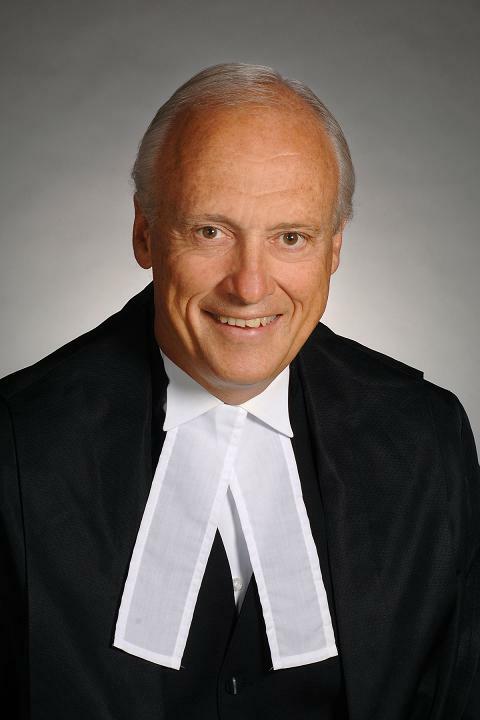 Justice Stephen Thomas Goudge was appointed as a judge of the Court of Appeal of Ontario in 1996. Justice Goudge graduated in law from the University of Toronto in 1968 and was called to the bar of Ontario in 1970. Until he was appointed to the bench, he practiced general litigation, including civil and commercial, administrative, labour and charter litigation with the firm of Gowlings. Justice Goudge was certified as a Specialist in civil litigation by the Law Society of Upper Canada in 1989. From 1974 to 1986, he lectured on labour law and native rights at the University of Toronto. Justice Goudge was a Bencher of the Law Society of Upper Canada from 1991 to 1996 and has chaired its Equity of Access to Legal Education and Practice Committee, its Legal Aid Committee and its Government Relations Committee. He has been a Fellow of the American College of Trial Lawyers since 1995 and has been active in the Ontario Bar Association and the Canadian Civil Liberties Association. He is also a member of the Chief Justice’s Advisory Committee on Professional Responsibility, the Civil Rules Committee, and the Board of Governors of the Law Commission of Ontario. Most recently Justice Goudge was appointed to conduct an inquiry into pediatric forensic pathology in Ontario, which required the examination of expert medical and scientific information in the consideration of the science of pediatric forensic pathology.